Kansas City, Mo. 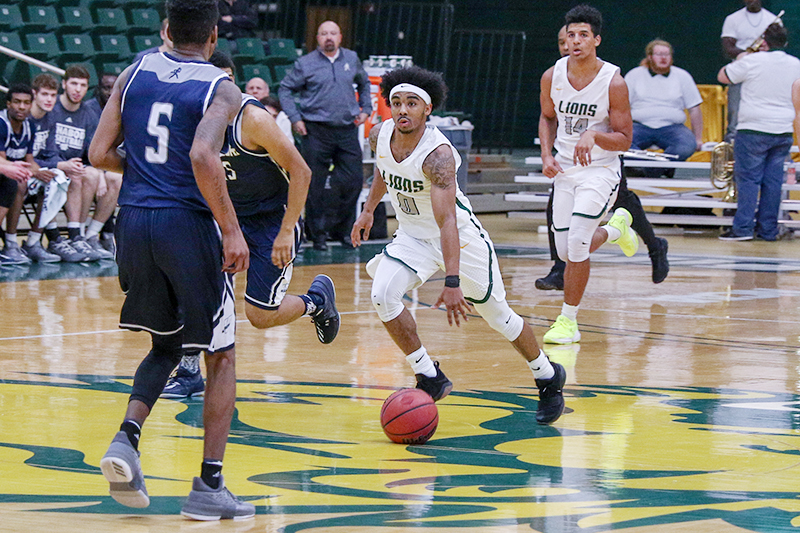 — For the third-straight week and the fourth time in the last five weeks, the Missouri Southern men’s basketball program has the MIAA Men’s Basketball Player of the Week as CJ Carr has been given the honor, the league announced today. Carr picks up his third Player of the Week honor from the MIAA this season. The 5-8 senior from Davenport, Iowa, helped the Lions to a 1-1 record this week against Washburn and Emporia State. For the week, Carr averaged 22.0 points, 6.5 assists, 3.5 rebounds, 2.0 steals, while shooting 50 percent from the field, 50 percent from long-range and 79 percent from the free throw line. Against Washburn, Carr scored 28 points and added six rebounds, three steals, and five rebounds, going 8-17 from the field, 3-6 from long-range and 9-11 from the free throw line. Against Emporia, Carr had 16 points, seven assists, one steal and two rebounds, while going 4-7 from the field, 2-4 from long range and 6-8 from the free throw line. Carr and the Lions will be at Northeastern State on Wednesday. Tip off from Tahlequah is slated for 7:30 pm.